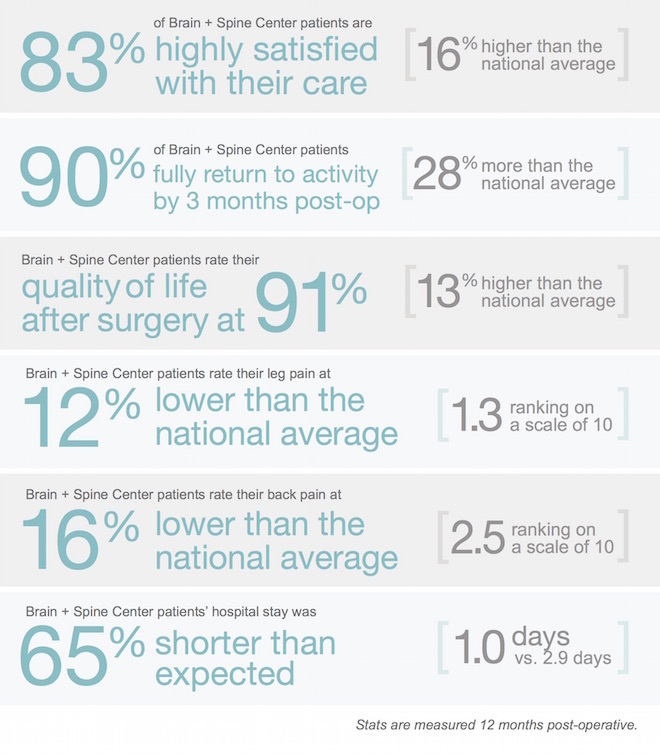 At the Brain + Spine Center, we are committed to ongoing excellence of patient care. This is why we are one of only 50 practices across the country that participates in the National Neurosurgery Quality and Outcomes Database or N2QOD. N2QOD tracks quality of care for the most common neurosurgical procedures. By analyzing the N2QOD data, we continue to refine our care and service so that we can offer the best quality treatment to each patient with an expert team approach. Wellness is our top priority, and we are focused on getting you back to a pain-free lifestyle as quickly, and safely, as possible.